Ultimate Challenge Gets TV Slot on MAVTV! 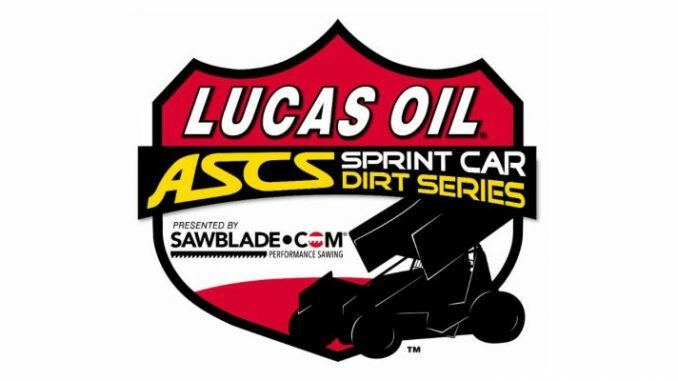 Des Moines, IA (July 13, 2018) – The Sage Fruit Ultimate ASCS Challenge presented by Searsboro Telephone Company is returning from a five-year hiatus and is doing so in a big way with the help of the Lucas Oil WAR Wildcard Sprint League! When the WAR non-wing and ASCS National Series sprint cars take to the track on Tuesday, August 7th, the POWRi TV crew will be on-hand filming for a tape-delayed broadcast on MAVTV. Front Row Challenge & Ultimate Challenge Tickets! There is just over 3 weeks left until the Sage Fruit Front Row Challenge presented by Musco Lighting, and the Sage Fruit Ultimate ASCS Challenge presented by Searsboro Telephone Company at the Southern Iowa Speedway! You can purchase your tickets now by calling (515) 957-0020 between 10:00am-4:00pm; Adult tickets for Monday are $30, Tuesday for $25, or both nights for $50 if purchased before July 30th, with Children’s tickets $15 each night. You can also buy tickets at the TMAC Motorsports merchandise trailer or at the race hauler after the races! You can save $5 on your Infield Party Passes by purchasing them at the Oskaloosa True Value Hardware at 202 1st Ave. East on the square in Oskaloosa!